Introducing the newest addition to our vast collection of dining chairs this beautiful The Riversway dining chair which is is covered in a faux leather material from head to toe with a designer ribble look back and is available in black or grey. Hand crafted to the highest quality it's ensured to last a lifetime. 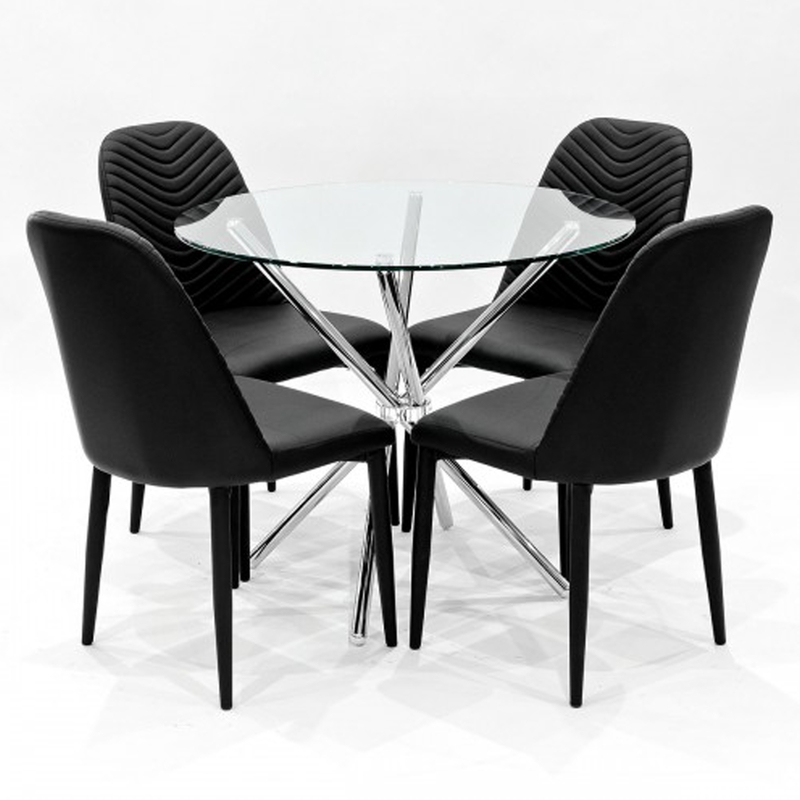 Put these chairs alongside our beautiful Criss Cross Glass Dining table which features a round glass top and cross design chrome base it's the perfect piece to complete this dining set.